Who is Micah Morrison? I get that question a lot. I’ve spent more than thirty years as a working writer and editor, mainly in investigative journalism, usually on complicated and controversial stories. In November 2013, I joined Judicial Watch as their chief investigative reporter. It’s a new age in journalism and a new chapter for me. I’m excited to be working with a great team of Freedom of Information Act investigators and litigators focused on government transparency and accountability. In 2011, my investigative documentary, “Iran’s Nuclear Secrets,” appeared on Fox News. You can view it here. From 1994 through 2002, I worked for the Wall Street Journal editorial page as a writer, senior writer, and finally chief investigative reporter with a focus on political scandal and financial crime. 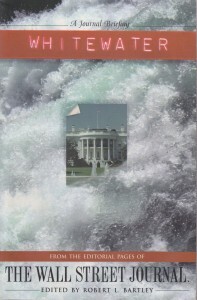 I led the Whitewater investigation of the Clinton Administration and reported on union fraud, Indian casino gaming, money laundering, terrorism, and the corrupt Bank of Credit & Commerce International. Along with Bob Bartley and Deputy Editorial Page Editor Melanie Kirkpatrick, I edited the six-volume series, Whitewater: A Wall Street Journal Briefing. I was nominated four times by the newspaper for the Pulitzer Prize: in the Editorial Writing category in 1997, 1998, and 1999; in the Investigative Reporting category in 2000. The Whitewater investigation ruffled a few feathers. President Clinton’s allies mounted a vigorous counter-attack. You can read the Arkansas Democrat Gazette’s assault, “Who Is Micah Morrison?,” here. You can read the Wall Street Journal’s response to that attack, also titled “Who Is Micah Morrison?,” here. Prior to joining the Journal, I was a senior editor for Insight Magazine. I also worked for the American Spectator and the Committee for the Free World. A 1980 graduate of Bennington College, I spent five years as a freelancer in the Middle East, based in Jerusalem. 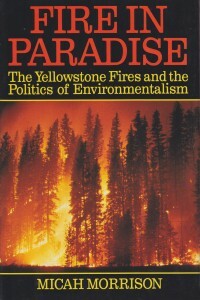 In 1993, HarperCollins published my book, Fire in Paradise: The Yellowstone Fires and the Politics of Environmentalism. Kirkus called it “a thrilling, blow-by-blow account of the wildfire.” You can read the full review here. In 2003, after nearly a decade with the Journal, I returned to freelancing, focusing on investigative reporting, consulting, and book projects. I wrote a novel, worked with some great clients, and created the Iran documentary for Fox. Ten years later, Judicial Watch came calling. Stay tuned for the next chapter.